Comfort food can be healthy! 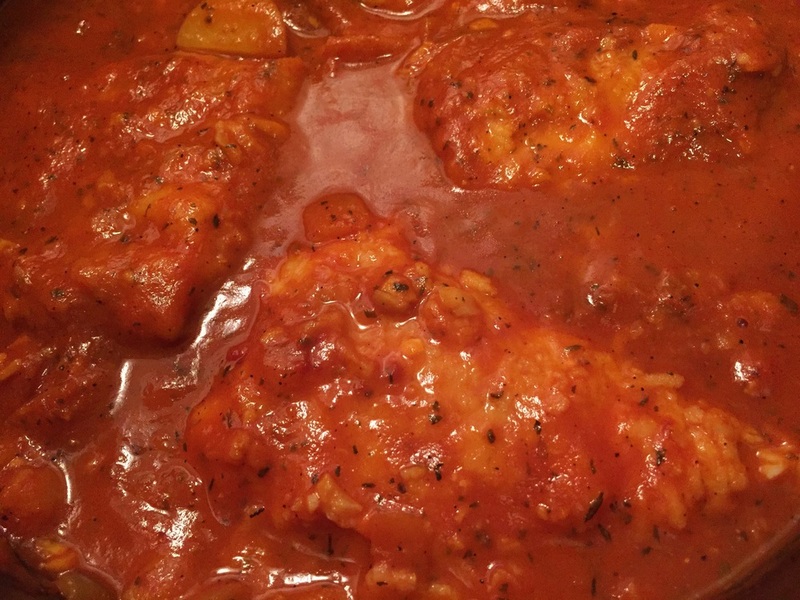 Lightly breaded fish in with a warm tomato stew - YUM! Definitely a winner for cold nights like this. 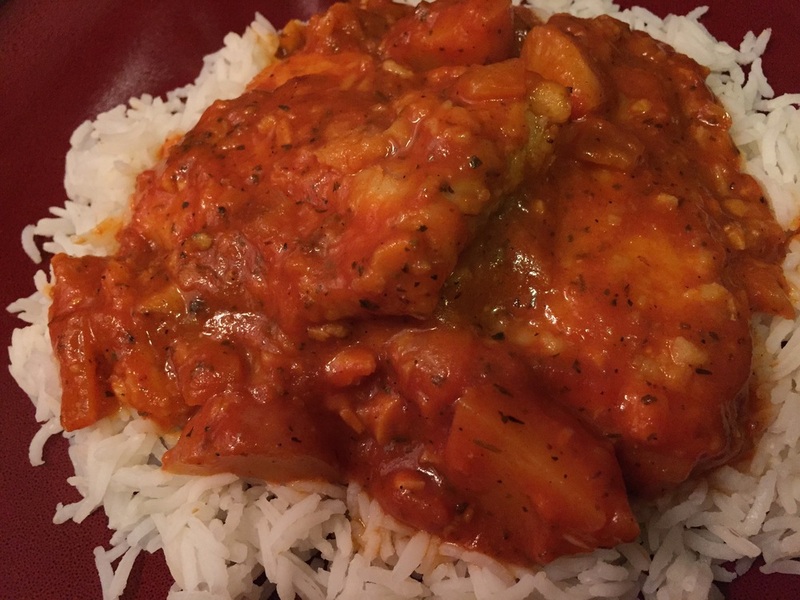 I used cod because it's what I had in the freezer but you can try this with tilapia also. Wash fish and pat dry. Season with salt, garlic powder and pepper. Coat the fish in dry flour and fry each piece for about 2 min on each side until light brown (in medium-hot oil). Remove the fish from the oil, drain some of it so there's only about a tablespoon of oil left. Heat remaining oil back to medium heat, throw in the onion and minced garlic. Add in all the remaining ingredients above (excluding the fresh tomatoes), let simmer until the gravy is thick. Carefully put the fish back in so it does not break apart. Cut the fresh tomatoes and layer around and on top of the fish - cook for only 2 mins. Serve with plain rice & some lime or mango chutney!